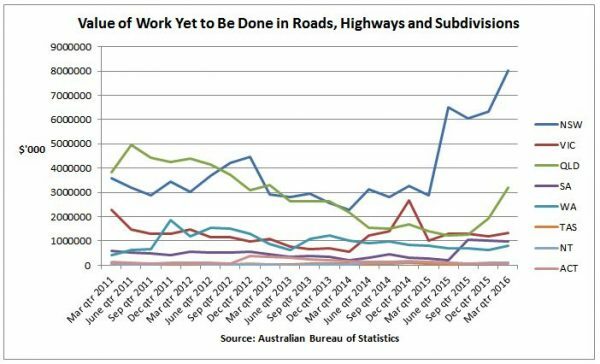 As a massive volume of public sector projects kicks in, Australia’s boom in road and highway construction is moving into full gear. To be sure, the actual volume of work currently being done has dropped off from its peak several years ago, when a significant range of toll road projects were underway. 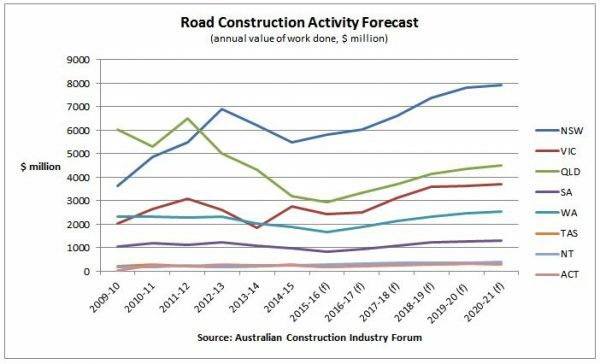 Having peaked at $19.167 billion in 2011/12, for example, the overall dollar value of construction work done on roads and highways is expected to have bottomed out at $14.376 billion in 2015/16, according to the most recent forecasts from the Australian Construction Industry Forum (ACIF). Nevertheless, new work is now coming in fast. 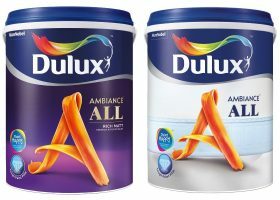 As a massive number of projects in New South Wales, Queensland and South Australia came through, the dollar value of new work commenced in the 12 months to March this year surged by a whopping 37.4 per cent compared with the previous corresponding period to come in at a record $20.621 billion. Partly as a result, the forward pipeline of work now sits at a record $146.3 billion – more than double its level of two years ago. 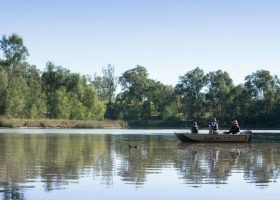 With commencements and the forward pipeline of work turning up in South Australia and Queensland, meanwhile, the boom is not limited to New South Wales. Going forward, conditions are expected to become even stronger. Industry research firm BIS Shrapnel, for instance, expects the dollar value of work done to top $20 billion in both 2017/18 and 2018/19, whilst ACIF expects activity to reach almost $20 billion by 2018/19 and almost $21 billion by 2020/21. 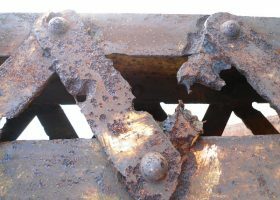 Adrian Hart, senior manager of BIS Shrapnel’s infrastructure and mining division, says momentum throughout the industry is being driven by a number of sources. Whilst we are getting a small shift nowadays toward public transport, roads are the ‘natural knitting’ of federal government funded infrastructure projects and have naturally benefited the growth in federal government spending on infrastructure, Hart says. Roads are also getting a share of funding which state governments such as New South Wales and Victoria are receiving in respect of their asset recycling strategies under the federal government’s asset recycling initiative, he adds. 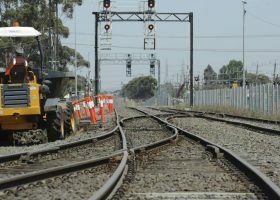 Finally, privately funded projects such as NorthConnex in Sydney and the Western Distributor project in Melbourne are also set to add further momentum going forward, Hart says. 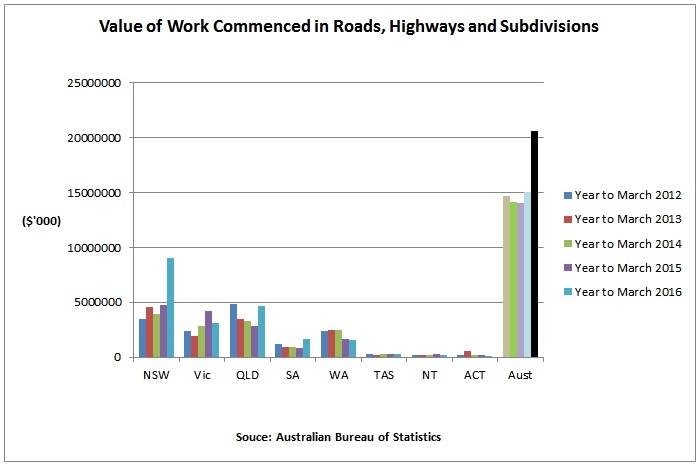 Hart says BIS is expecting higher levels of road construction activity going forward in every state except for Tasmania, where the dollar value of work will not fall but will remain relatively steady. Whilst engineers doing front end design work are the biggest beneficiaries thus far, he says road construction workers and contractors will be next in line as will those who supply materials and equipment. 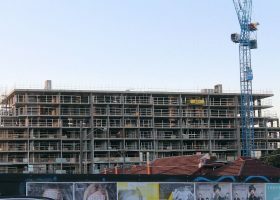 The latter include suppliers of materials such as concrete (such as Boral) and bitumen as well equipment hire outfits such as Coates – each of whom Hart says will be looking for opportunities to use growth sectors such as roads in order to partially offset the effect of a potential slowdown in other parts of the building sector. New South Wales is obviously set to be the biggest winner as a mammoth pipeline in huge dollar value projects such as WestConnex, NorthConnex, road infrastructure projects associated with the new airport at Badgerys Creek and upgrades to various sections of the Pacific Highway drive a whopping 42 per cent surge in activity from $5.486 billion in 2014/15 to $7.798 billion by 2019/20. Commencement values ($90.073 billion) almost doubled over the year to March and the pipeline of work is almost three times what it was as recently as early 2014. Queensland is the next big winner with output expected to rise from $2.954 billion in 2015/16 to more than $4 billion by 2018/19 amid a range of upgrades to the Bruce Highway and the Gateway Motorway. 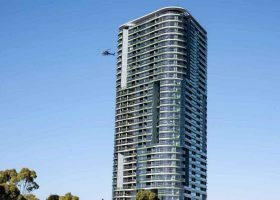 Victoria will experience modest conditions throughout 2016/17 but will see work ramp up after that to go from $2.5 billion in that year to reach almost $3.6 billion by 2018/19 as the building phase gets going on the Western Distributor Project. 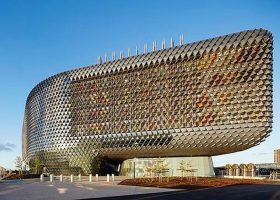 Another significant state expecting good growth is South Australia, where the pace at which new work is coming in has increased substantially over the past year and the pipeline of work is stronger than it has been in years. The dollar value of work done will rise from a forecast $839 million in 2015-16 to $1.218 billion by 2018/19 amid strong levels of work on South Road upgrades. Western Australia, too, is expected to experience strong conditions as work on a decent range of significant dollar value projects such as Northlink sees activity bottom out at $1.665 billion in 2015/16 (forecast) before rising to $2.452 billion by 2019/20.